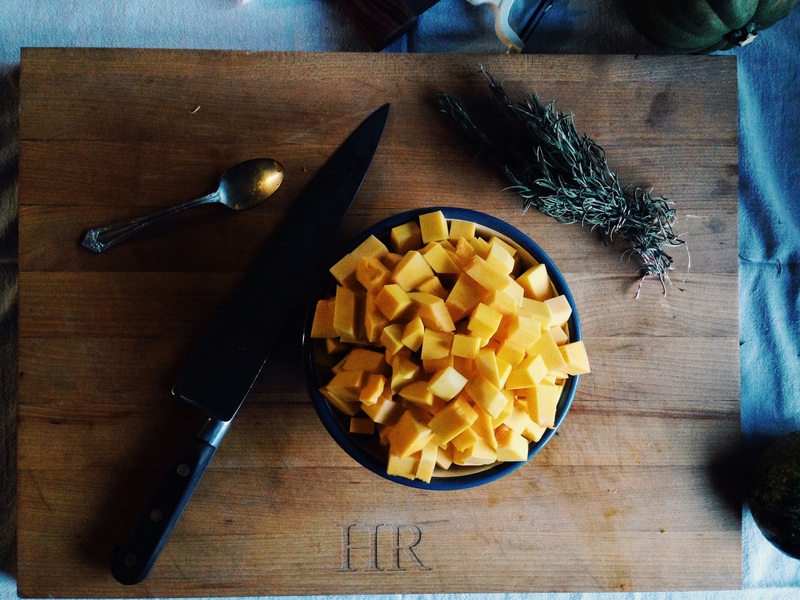 Let’s talk about tackling the big, scary butternut. 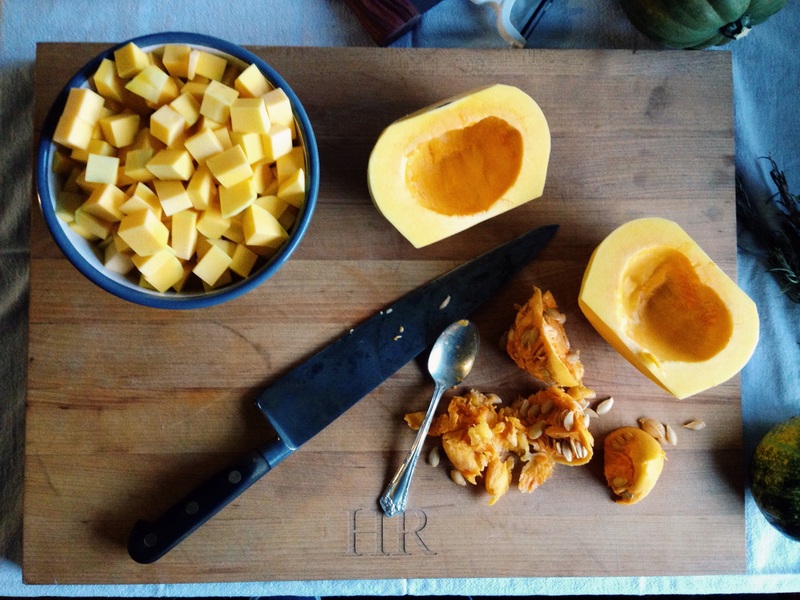 Every time I used to see a recipe that called for cubes of butternut squash, I would cringe and move on. The thought of figuring out how to slice that beast was completely overwhelming. 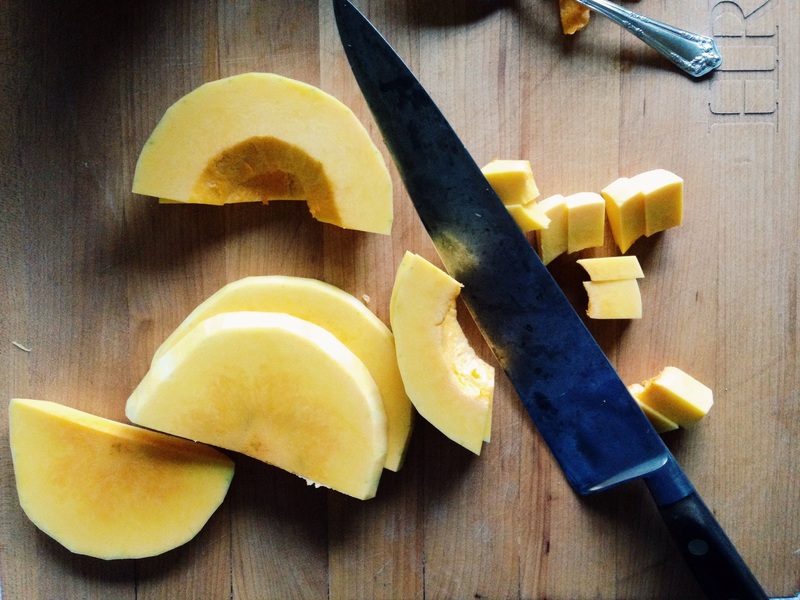 Luckily, I’ve since learned there’s a simple technique to cutting up butternut squash. The most important tools for this are a peeler and a sharp knife. I cannot emphasize enough how much safer a sharp knife is than a dull one. Please, do yourself a favor and have your main kitchen knives sharpened a couple times a year! There are some great local businesses in the Seattle area that do a great job! Back to that pesky squash. 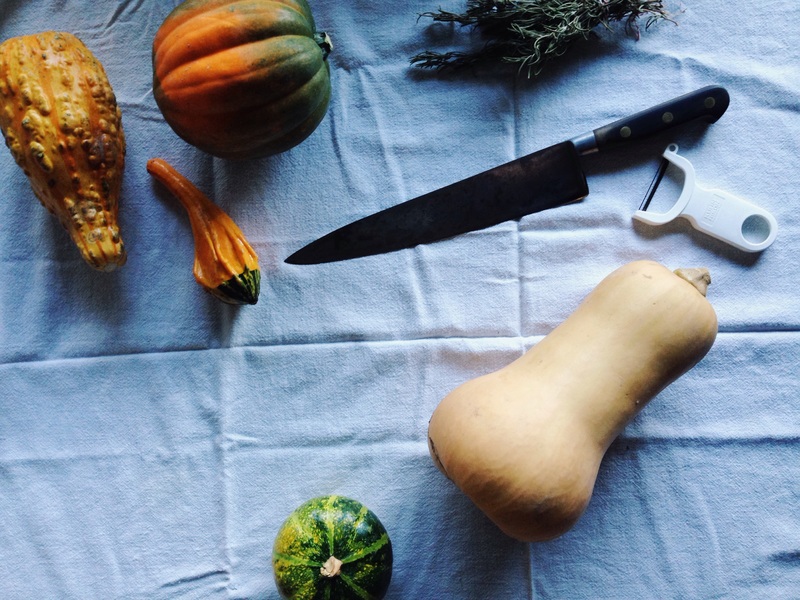 First, you should trim off the stem and flower ends of the squash. 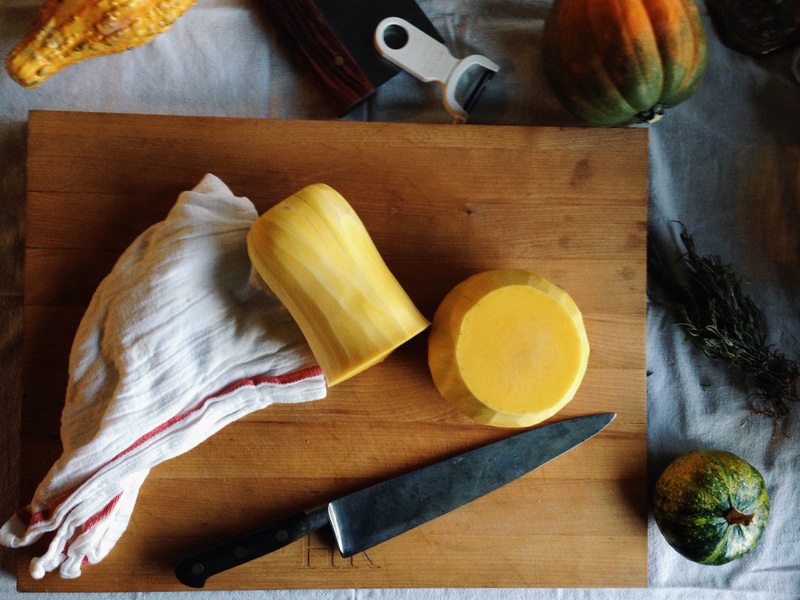 Now that your peeler has a surface to grip, go ahead and peel the whole squash. 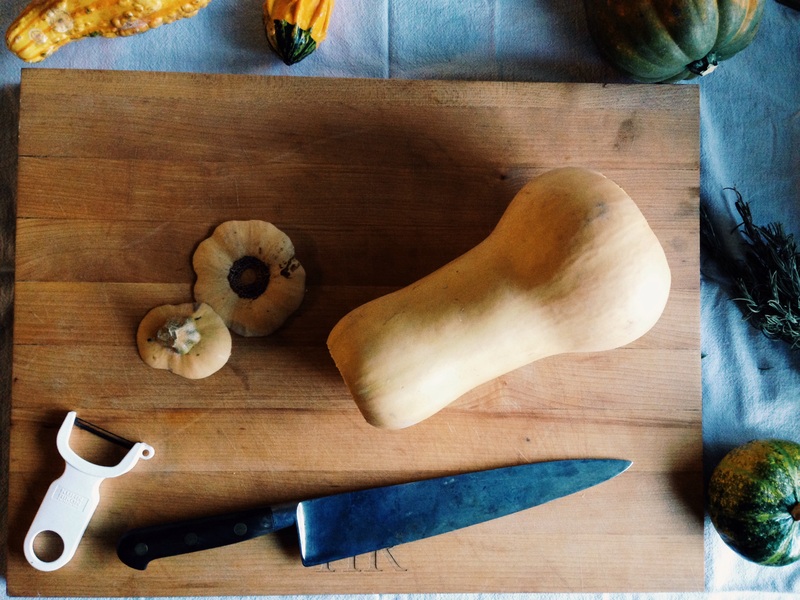 After the squash is peeled, you’re ready to start cutting. The first cut will be to separate the neck from the body. When doing this, remember to let the knife do the work for you. 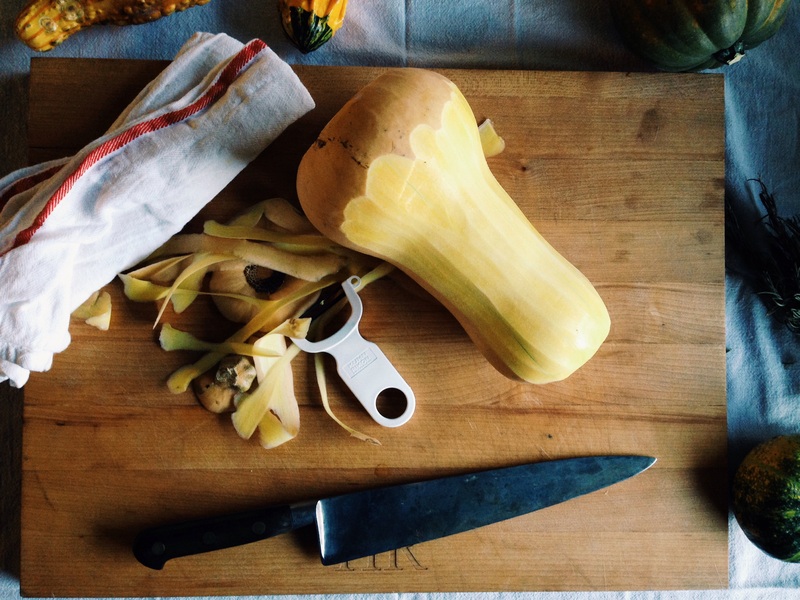 Don’t apply all the pressure straight down, try to let your knife slide through the squash. Once the neck is separated, go ahead and cut it into rounds the proper width of what your recipe calls for. You can then easily cut the rounds into cubes. 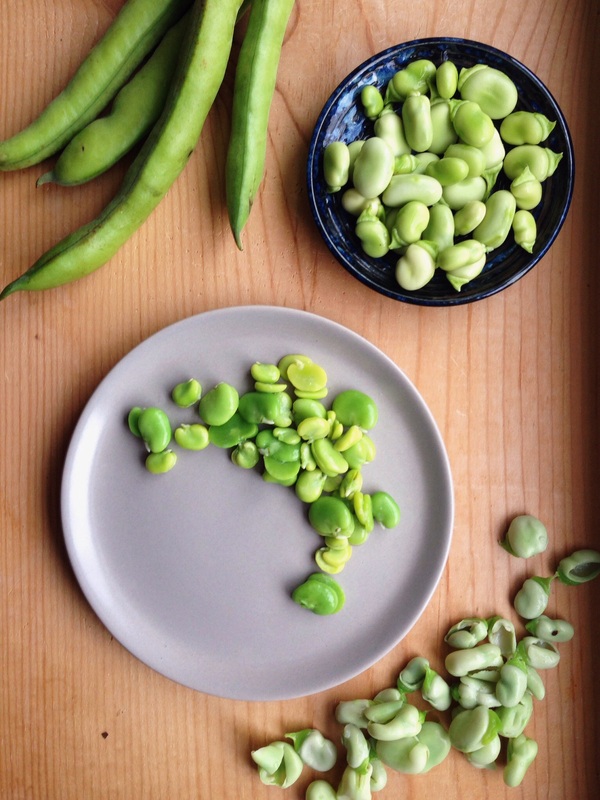 For the body, cut it in half lengthwise and use a spoon to scoop out the seeds – saving the seeds to roast, of course. Next, cut the body into half moons the same width as the rounds from the neck. You can then cut these into smaller pieces to match the cubes from the neck. Voila! You’ve conquered the great and terrible butternut! 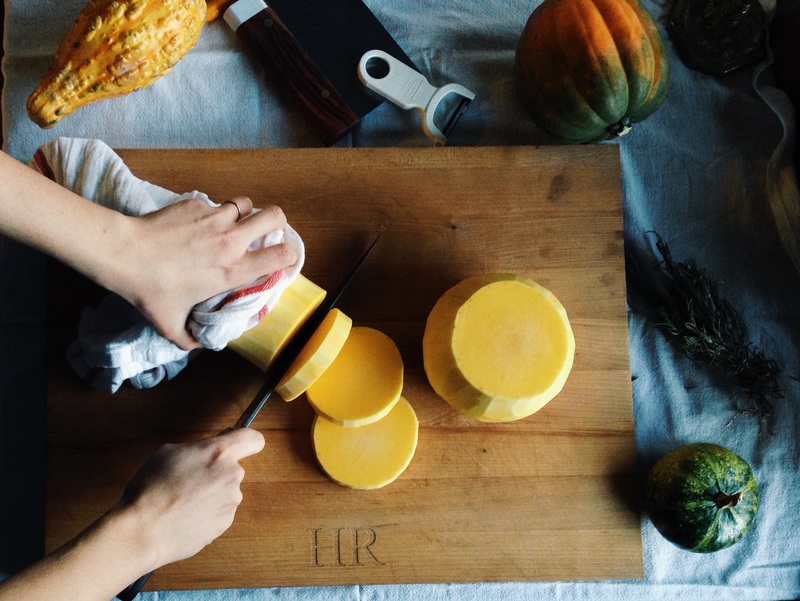 A final note: butternut squash has a tendency to release a sticky, slimy film when peeled and cut. This is a natural reaction that is caused by the squash trying to repair itself as it would when still on the vine. To avoid having this film stick to your hands (it will wear off eventually), wear gloves or try to hold the squash with an old kitchen towel. If you do use a towel, please be extra careful to keep track of where your fingers and knife are – we don’t want any accidents! Now enjoy your new found freedom! 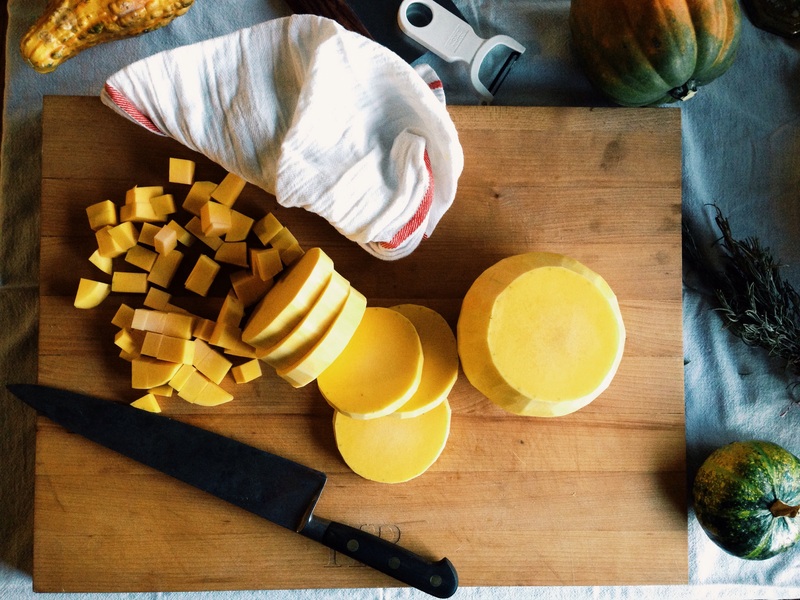 Go cook up some butternut squash!